A police officer who was a victim of racial discrimination at work has criticised the time taken by the police watchdog over a subsequent inquiry. 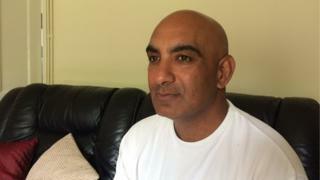 Sgt Harmit Bahra won an employment tribunal in 2014 that found he had been passed over for promotion by Bedfordshire Police on grounds of race. He was awarded £200,000 damages and in 2015 the Independent Police Complaints Commission (IPCC) began investigating 15 officers for gross misconduct. The IPCC said the case was "complex". Mr Bahra says the IPCC's investigation into officers named by the tribunal over their conduct in the discrimination was taking too long to come to a decision. But in a statement, the IPCC Associate Commissioner Guido Liguori said: "This has been a complex and resource-intensive investigation that has now reached a critical and significant stage. "We will be working hard to bring this investigation to a close and provide our report to the appropriate police forces to determine next steps." The tribunal found Mr Bahra was denied promotion and victimised while serving with the force between 2007 and 2010. Mr Bahra claimed those involved could have been disciplined much earlier by Chief Constable Jon Boutcher if he had "instigated the fast track options that he had under the police misconduct regulations and dismissed [the officers involved] a long time ago." But Mr Boutcher, who was not in post when Mr Bahra was discriminated against, denied he avoided taking disciplinary action or that he delayed referring the case to the IPCC. "In order to stop Mr Bahra or anyone else criticising what we did, I got the very best legal advice possible to see how this could be investigated in a way everybody would be confident with regards to how that was done," he said. He added he referred the case to the IPCC three months after the tribunal result.